Palisade wooden fencing suitable for any home and garden. Constructed from FSC certified timber. 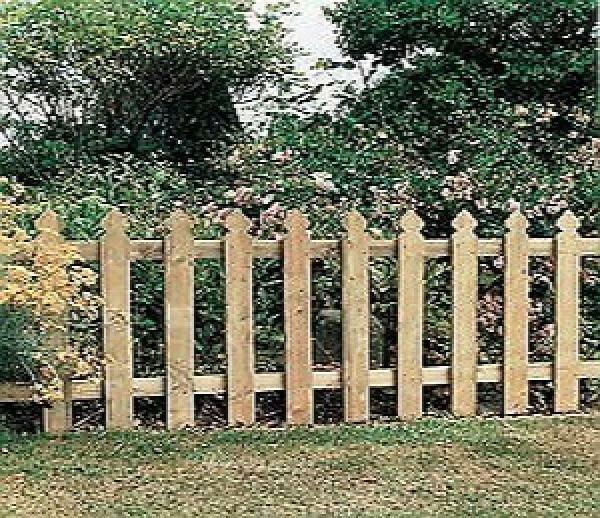 Manufactured from pressure treated timer for added durability, this traditional wooden fence is ideal for a range of outdoor settings. Features a decorative detail to each vertical timber board to add a subtle yet effective design element. Please note that wooden fencing has a minimum ordering quantity of 4 to qualify for home delivery.